Snowy Fiordland mountains reflected in tide pools. Arthur Valley. 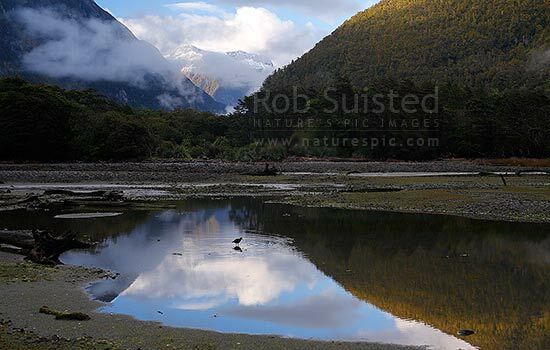 Oystercatcher bird (Haematopus unicolor) wading and feeding at dawn, Milford Sound, Fiordland National Park, Southland District, Southland Region, New Zealand (NZ), stock photo.